"Charging from about 10 % to 100 %. Charging site: Gol, Norway. Display shows typical/ideal range. The video was played back 10 times faster." States Tesla Model S owner Bjorn Nyland. 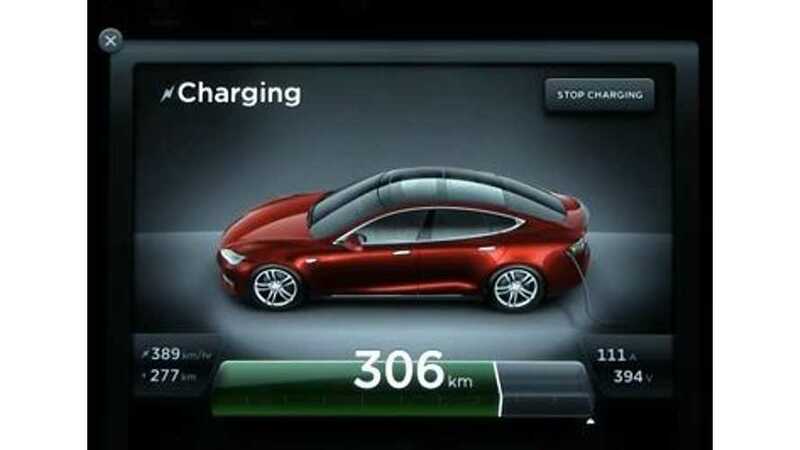 The entire 12-minute video focuses on the charging display as the Model S gets Supercharged. Of interest is the fluctuation in amperage, voltage and charging rate. Additionally, we get to see how the charge rate tapers down as the Model S battery pack nears full charge. Actually, the taper begins much earlier than some might expect it to. Basically, this shows us that Supercharging quickly gets an empty pack to 50-ish %, but after that the benefit of the Supercharger begins to fade.